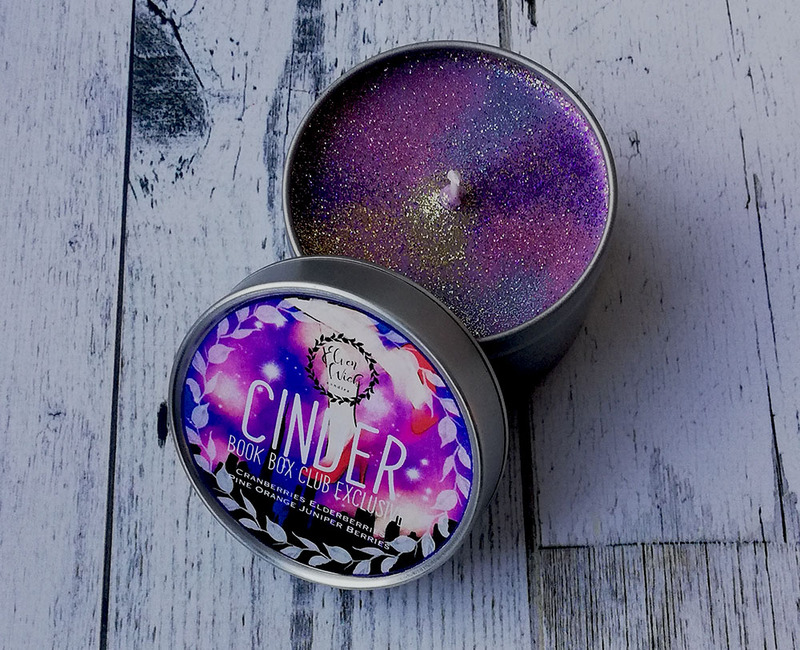 Extremely sparkly 4oz scented candle in a metallic tin. Light up the night sky with the bright flame of the true Lunar Queen! 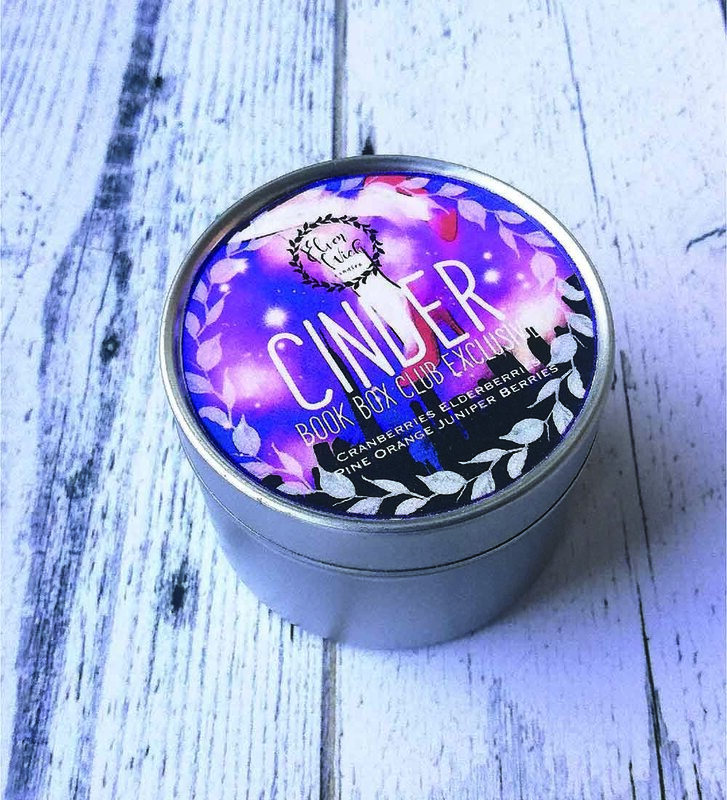 Scented with juniper, elderberries, orange and cranberries, this exclusive super-sparkly candle is inspired by the strong-willed cyborg heroine of the Lunar Chronicles. Made exclusively for our December 2018 Rule the Stars box.